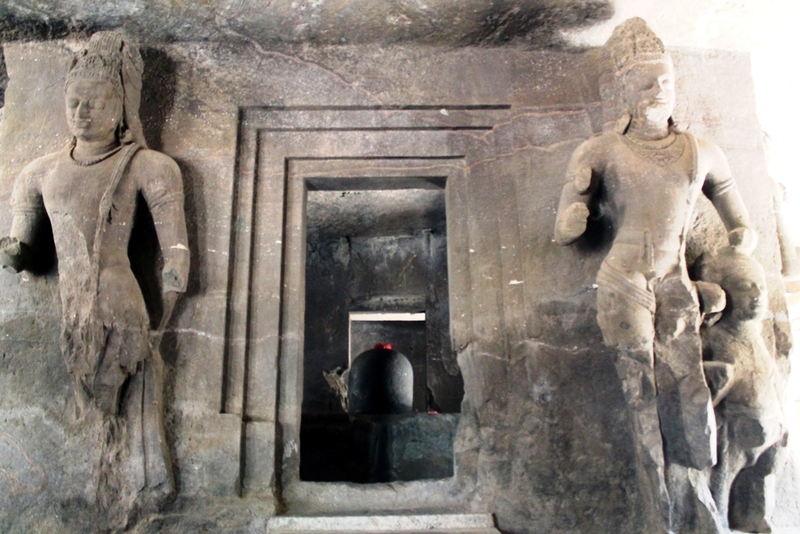 Mandpeshwar Caves are about a mile from Borivali station, twenty one miles away on the suburban line of the Western Railway (Churchgate or Mumbai CST). They are the only Brahmanical caves in India which have been converted into a Christian shrine by the Portuguese. The three 8th century caves are hewn out of rock. The 3rd cave, on the west, a small Vihara (monastery), was transformed in the 16th century into a Roman Catholic chapel by screening off the Hindu sculptures or covering them with plaster. Kanheri Caves are in a pleasant woodland 5 miles from Borivali Station. They can also be approached by car. Although they belong to the early phase of Buddhist architecture, they are later additions, such as the 5th century figure of the Buddha in the Chaitya hall of cave 3. There are altogether more than 100 caves cut out of a huge circular rock. The main feature of the caves is the flights of connecting steps cut into the rock, and the stone seats where the monks used to meditate. The verandah of cave 3 (2nd century) has in front two images of the Buddha, 23 feet high. Cave No.10 was used for assemblies. The other caves are not worth intensive studying. Jogeshwari Caves (8th century) are a mile from the Jogeshwari station on the Western Railways’s suburban line, on the island of Salsette, the original Bombay. Much defaces, they belong to the late period of Buddhist architecture. Brahmanical influence is evident: the shrines are isolated and stand in the center of a cruciform hall with several entrances. The long verandah has Elephanta-type columns, the square hall 20 pillars.